Our natcon is not in the best shape right now. I don’t mean that the last one was bad or that last few were bad. Some of them were quite good, while others were not really as they should. Yet the problem manifests itself in a more complex way than having a mediocre Polcon once in a while. The problem is with the whole idea and we need to solve it. So what are the issues of Polcon? We can define a few issues with Polcon but the main one is that no one really wants to organize Polcons any more. Of course this is not 100% true but we can see an issue here. In the last few years, there was usually only one group willing to run Polcon. It happens that it was known before that Polcon won’t be good but there was only one group willing to do it so there was no choice (and no one really wanted to cancel Polcon). This year, all in all, we haven’t chosen the place for Polcon 2020 yet – we hope that in December we will know this as there is one group that thinks about applying to run it. At Polcon 2018 we did not decide on who will be organizing Polcon 2020. It is not that people don’t want to run conventions any more. We have a lot of cons – both small and big. So why we don’t have a lot of bids running to host Polcon? I think there are two main reasons. The largest SF clubs do have their own conventions that often are more important for them and sometimes also more popular than Polcon is. At the same time, small clubs are a little bit afraid of running Polcon. 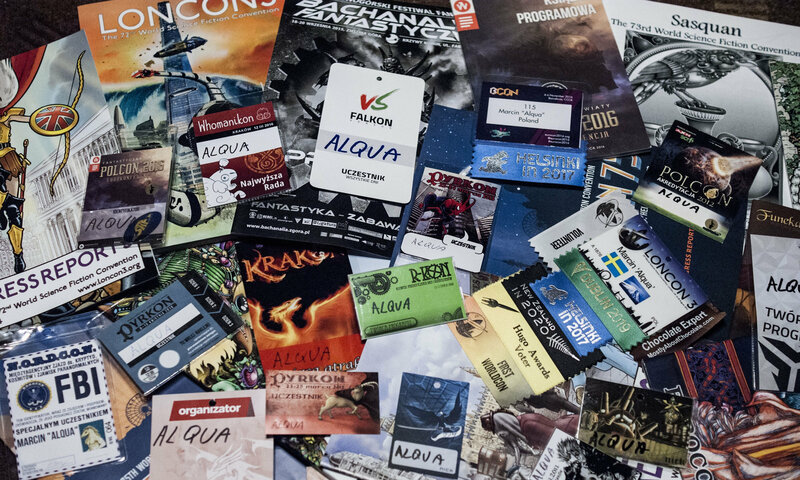 The recent history proved that usually, as an aftermath of Polcon, there are some issues within the local SFF clubs and this fact is certainly not helping. Some conventions are bigger than Polcon. Pyrkon (shown on the picture) is also more important for many fans. Should Polcon be an “attached” convention? Possibly we can change the whole idea of Polcon and treat is as attachment to an existing convention (like Eurocon is attached to local natcons). This may solve some issues we are facing. 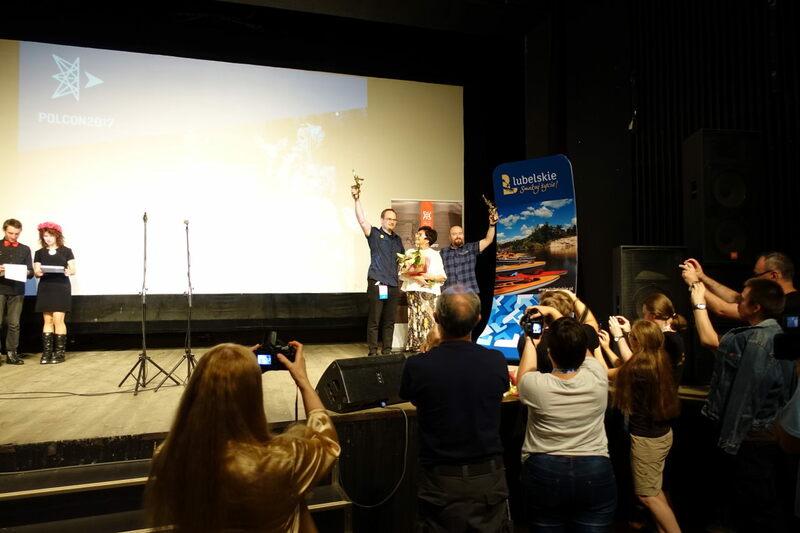 What really makes Polcon is Janusz A. Zajdel Award voting and ceremony plus two programme items – Council of Fandom and Fandom Forum. Those can be added to many conventions and therefore, each year our natcon may be held with different con. This solution, however, has one flaw. 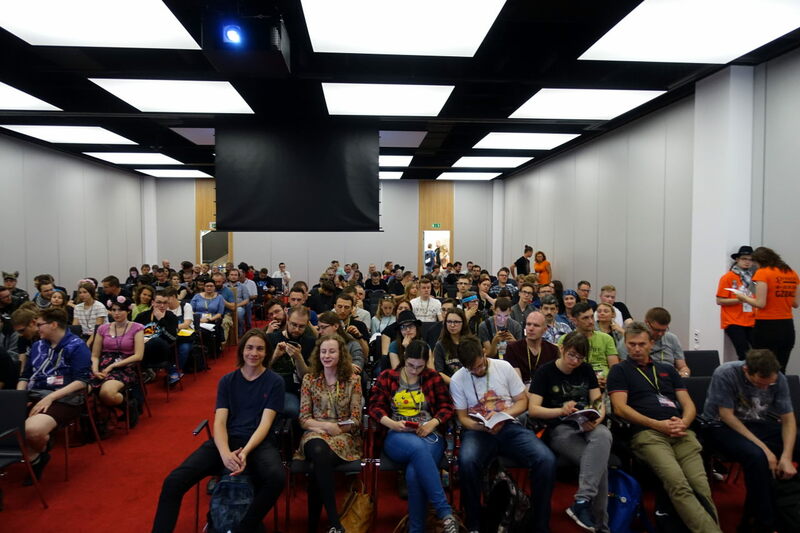 Polcon must be held in the second half of the year so that Janusz A. Zajdel Award nominations can be held and voters would have time to read all of the nominated works before the convention. This way, automatically, all of the cons taking place in the first half of the year wouldn’t be eligible to become a natcon. I am also not sure whether this would be good for Polcon and part of fandom that is concentrated around it. I do believe that a lot of fans would disapprove such solution. Myself, I am not sure whether it is the best way to move forward. What is the Polcon for? 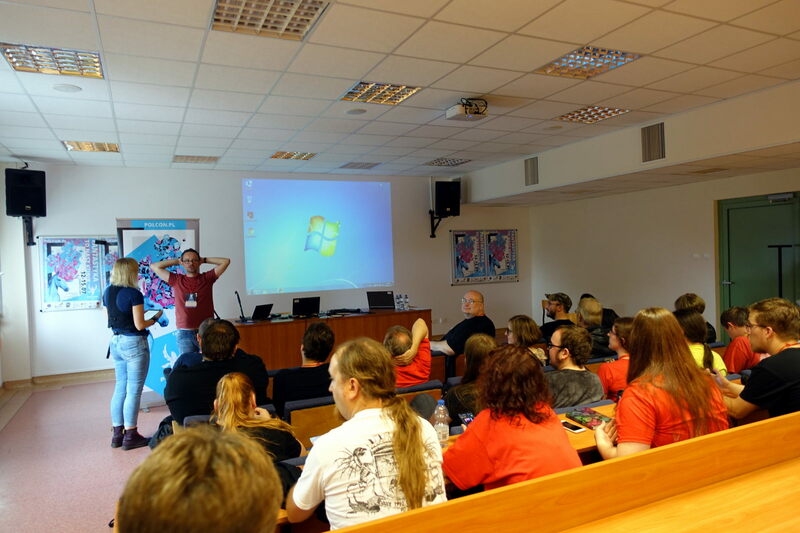 At Arkhamer convention, I had a discussion with a writer – Artur Olchowy. In fact, this discussion inspired the post you are reading right now. We were considering what is the raison d’être of Polcon. 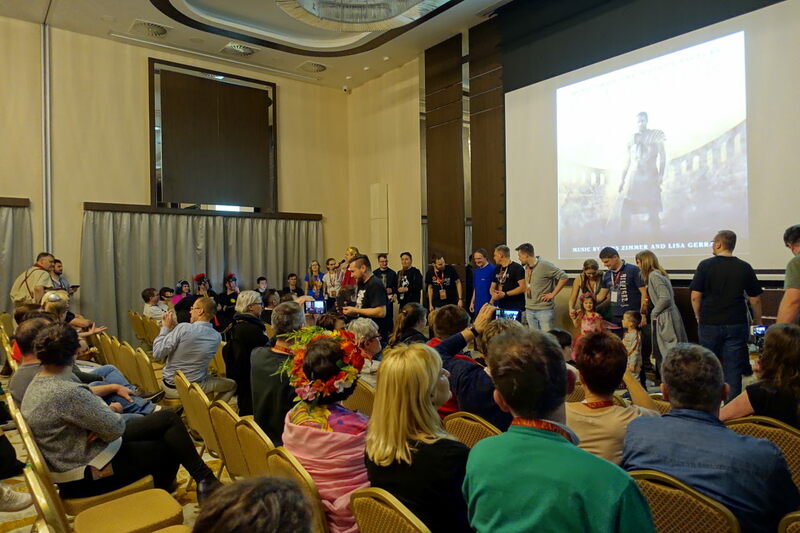 Artur mentioned that most other conventions are better at promoting SFF to the general audience. We don’t need to force Polcon to function as a promo of SFF and fandom for anyone. He mentioned, and I really agree with him, that Polcon is an event made by fans for fans. Therefore, there is no need to try to appeal to everyone and we should make a convention that would appeal to us instead. Should Polcon go more into the direction that Nordcon choose? Should it be more concentrated on fandom? Of course defining “us” is not so easy considering how big and diverse the fandom in Poland is. Yet maybe we should try to check what really is important for Polcon and see whether we are inclusive to all the people who may want to attend it. This may become a good discussion to be held at a convention. How would this solve the issues of Polcon? I am not sure if making Polcon a convention strictly for fandom would solve the issues. It would make it smaller for sure – and therefore probably easier to organize. This should encourage smaller clubs to try their best and run for it. On the other hand, such change would mean that it would be more difficult to find sponsors and the media coverage of Janusz A. Zajdel Award will be smaller for sure. Also, I have the feeling that this would make Polcon less prestigious in the eyes of many and some clubs might decide that it would not be worth their time to run it. Yet I think it would be really interesting to see Polcon differ strongly year after year. When it would be run by clubs of all sizes with no goals to make it bigger and more appealing to non-fans. We would still have good and bad Polcons then, but at least we would know that no one tries to make it bigger than they can handle. So even if this won’t solve the all the issues of Polcon it may be quite interesting.